Theme Paint™ is a highly specialized line of water base exterior/interior flat paints which contains less than 50 grams per liter V.O.C.! Designed to give you the ability to create a variety of looks from subtle color washes for rockwork to bold saturated colors for signage. It is perfect for theme parks, themed hotels and restaurants, theatrical sets, backdrops, facades and exterior/interior architectural applications where a long lasting flat finished is desired. Theme Paint™ pre-mixed colors are a complete scenic artist's palette, suitable for most exterior/interior scenic and architectural applications, where a long lasting flat finish is desired. Less than 50 grams/Liter V.O.C. Theme Paint™ Tintable bases and Concentrated Colorants are a concise line of three bases (Neutral Base, Deep Base and Tint Base) with a full line of Concentrated Colorants used to create custom colors for themed projects and exterior/interior architectural applications, where a long lasting flat finish is desired. Theme Paint™ Exterior Dead Flat Varnish is a clear UV protective premium quality, 100% acrylic, non-yellowing, water base varnish formulated to have the optimum level of clarity with the least amount of sheen. 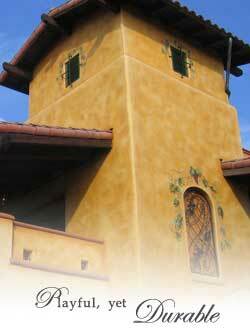 It's water and abrasion resistance offers protection for Theme Paints and other decorative painted surfaces. See details MODERN MASTERS TP10425-08 BURNT UMBER THEME PAINT SIZE:8 OZ. See details MODERN MASTERS TP10426-08 CARBON BLACK THEME PAINT SIZE:8 OZ. See details MODERN MASTERS TP10435-08 RAW UMBER THEME PAINT SIZE:8 OZ. See details MODERN MASTERS TP10436-08 RAW SIENNA THEME PAINT SIZE:8 OZ. See details MODERN MASTERS TP10453-08 HI HIDE WHITE THEME PAINT SIZE:8 OZ. 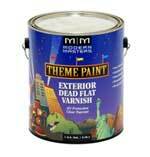 See details MODERN MASTERS TP10437-08 THALO BLUE THEME PAINT SIZE:8 OZ. See details MODERN MASTERS TP10430-08 MEDIUM GREEN THEME PAINT SIZE:8 OZ. See details MODERN MASTERS TP10431-08 MEDIUM YELLOW THEME PAINT SIZE:8 OZ. See details MODERN MASTERS TP10438-08 THALO GREEN THEME PAINT SIZE:8 OZ. See details MODERN MASTERS TP10499-08 ULTRAMARINE BLUE THEME PAINT SIZE:8 OZ. See details MODERN MASTERS TP10433-08 PERMANENT RED THEME PAINT SIZE:8 OZ. See details MODERN MASTERS TP10440-08 VIOLET THEME PAINT SIZE:8 OZ. See details MODERN MASTERS TP20101-32 NEUTRAL BASE THEME PAINT SIZE:QUART. See details MODERN MASTERS TP20103-32 TINT BASE THEME PAINT SIZE:QUART. See details MODERN MASTERS TP10429-08 MAGENTA THEME PAINT SIZE:8 OZ. See details MODERN MASTERS TP20102-32 DEEP BASE THEME PAINT SIZE:QUART. See details MODERN MASTER TP10442-08 HANSA YELLOW THEME PAINT SIZE:8 OZ. See details MODERN MASTERS TP20115-32 BURNT UMBER THEME PAINT COLORANTS SIZE:QUART. Concentrated Colorants used to create custom colors for themed projects and exterior/interior architectural applications, where a long lasting flat finish is desired. See details MODERN MASTERS TP10437-32 THALO BLUE THEME PAINT SIZE:QUART. See details MODERN MASTERS TP10424-32 BURNT SIENNA THEME PAINT SIZE:QUART.